It’s more than an open mic. It’s more than a jam session. It’s more than an improv show. It’s Bean Night in Isla Vista: a smooth blend of art, music, and community feeling. Inspired by a friend in Texas, Danny decided to bring Bean Night to I.V., introducing this unique event in his living room the following year with beans, rice and ‘Two-Buck Chuck’ for guests. Though the tradition of serving beans, the event’s namesake, has waned, the experience and community of Bean Night has strengthened incredibly. The pioneers began with no established plan. For the first few weeks, there was no set list or host; people would just take the stage after the previous person was done performing. By the end of winter quarter that first year in 2008, Bean Night had tripled its size and gained recognition within the Isla Vista community. Many popular bands of Isla Vista back then came to perform too. Today, while there continues to be an influx of newcomers, a handful of regulars consider Bean Night an integral part of their college experience. Every Monday night, students gather in a crowded and dimmed room at 6651 Abrego Road, Isla Vista’s student “Faux-Op,” to relax and enjoy a nice show. Couches line three decorated walls, but most just sit on the floor or stand in the walkways. The only empty space is designated to performers, with room for only two or three at a time. Sure, a guitarist will play a song we all sing along to. Poetry readings and comedy skits will compose part of the night as well. What makes Bean Night different, though, is that we have absolutely no idea what is on the menu. Those who want to perform simply write their name on a chalkboard to secure a slot, but there are no expectations or guidelines for what the artist can or will present. You’re free to present what you want and be who you are. Everyone is open and supportive. Performances vary. 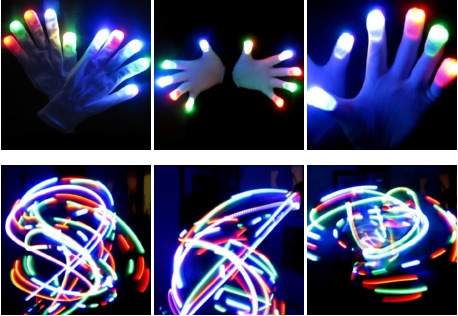 Bean Night has hosted a light show given by a student with LED lights on his glove’s fingertips. A few weeks back, someone brought an essay to share. He didn’t read the essay itself, but rather an editor’s commentary and annotations with a dry sarcasm that had me in tears from laughter. Another night ended with fire breathing and twirling (don’t try at home!) with guitar player adding a live soundtrack. What may not be considered “talent” elsewhere, Bean Night embraces and respects. And if you mess up? No worries, the community will cheer you on until you’re comfortable again. Nil Roda-Naccari Noguera, an exchange student hailing from Barcelona, has been living at the Faux-Op for the majority of his time at UCSB. He tells me “I love having Bean Night at my home. People share more than their performance: they share opinions, make friends, and discover other cultures and perspectives, all in a supportive and informal environment.” A musician himself, he has sought out open mic nights in Barcelona and Istanbul (where he spent another year studying abroad), but hasn’t experienced one like Bean Night. “In an individualistic society, where loneliness or isolation can pose a big problem, people very much appreciate moments like these where they feel part of something bigger than themselves. This is the importance of community-building,” he shares. “Isla Vista provides a perfect combination of closeness and relaxation that allows this to become more than just an isolated event.” Everyone is welcome. No one is judged. On my most recent Bean Night Experience, the evening began with two of the co-op’s residents improvising some tunes on the guitar until the familiar sound of Muse’s Time Is Running Out appears. Next, a deep poem changed the mood a bit and makes the room hush in a thought-provoking silence to hear the words. Matt Carona (pictured left), a Bean Night “virgin” went up next with his guitar. While he’s played at many open mic nights around Santa Barbara, he told me this experience is unique because the audience is “sensually focused on the performer.” He adds, “Everyone there was listening with open ears to what the performer said or sang. I’m already looking forward to playing again.” Singers in the crowd harmonized with Matt and a few others throughout the night, which truly invokes the sense of unity. “BEAN SCOOT!” someone yelled, followed by a uniform movement on the ground to move forward and make room for those arriving. A keyboardist sang a song in Spanish and English, followed by another Bean Night virgin who wowed us with her song on the flute. A guitarist, disappointed he does not have the time to play two songs, spontaneously mashed-up the two. Once he finished, I heard “whose empty glass needs to be filled? !” The boxed wine made its way around the room, as the next act got ready. This got our attention off the Franzia and onto the next Bean. The last five or ten minutes are always dedicated to ‘The Final Jam.’ This tradition dates back to the first Bean Night, when Danny suggested a popular song with chords simple enough to allow everyone to join. “We just started jamming it out. Everyone sang along, and so birthed a tradition of ending Bean Night with everyone coming together for a union of energies, voices, strums and beats. Final Jam became a funny thing that we always tried to prepare for by thinking of a good song ahead of time, but also let it flow naturally with what felt right in the moment.” This past week we jammed to three Weezer songs from the 90s, and it felt just right. As people trickle out at the end of each Bean Night, there is a mutual feeling of happiness and satisfaction. With so much personality and expression shared, the whole room feels a little changed. Have you gotten your Bean on? If not, you should! To get involved or stay updated, join Bean Night’s Facebook group at https://www.facebook.com/groups/470810746312902/. By Emily Oberhand. Emily is a LoaTree intern blogger and social media coordinator. She will be graduating this June with a B.A. in Economics and Accounting, with a minor in Professional Writing.